The latest technology such as Skype chat and video calls, email, and video conferencing have made business communication faster and more cost-efficient on the Internet. Now, many companies employ online marketing methods, including social networks, search engines, automated ads, and campaigns. These booming Internet channels help market products and services to a wider global audience. However, the Internet can also have drawbacks on your business and your brand’s reputation. More specifically, backlash from unhappy customers can spread throughout social networks. With over 2.1 billion active social media accounts to date, anyone on the web can post bad reviews about a product or service that can be shared with other users in a matter of seconds. To protect your brand from unwanted content, you can use online reputation management (ORM). This uses a combination of search engine optimization (SEO) techniques and online social monitoring. It controls and influences what gets posted online, while ensuring a positive web presence and optimal performance. Here are three top monitoring tools to keep your brand’s image positive. Google, being the most dominant search engine platform, continues to introduce innovative tools to Internet users, including Google Alerts. This free service works by setting up alerts for any search terms you want, making online brand tracking a breeze. It helps monitor information being posted about you and your company. More specifically, it tracks your set keywords’ online activity. These can include anything, from your company name to your products and executives. To get started, sign in to your Google account and visit the Google Alerts page. Enter the word or text you want to be notified about in the search box on top of the page. This could be your business name, website, email address, own name, and other things related to your business. Once you’re done inputting search terms, click on the Show options dropdown list to customize your alert. Google will then ask you how often you want to be alerted, and from what specific sources, language, and region. 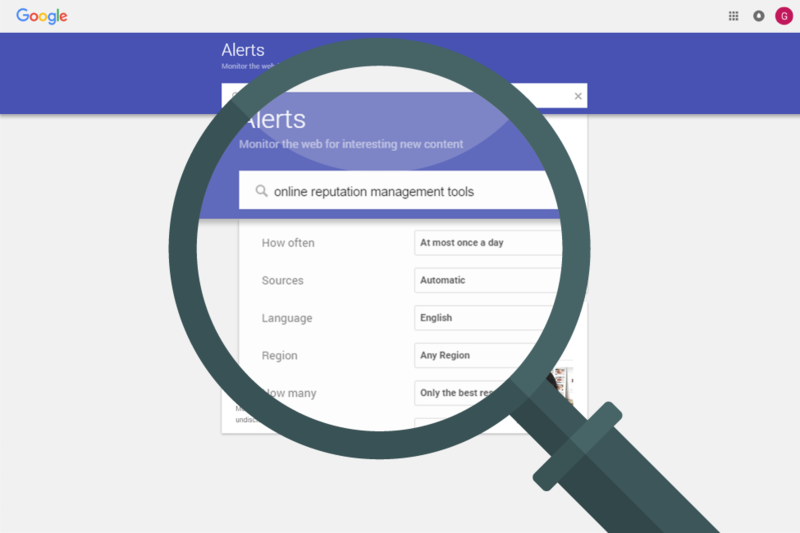 As soon as you’ve adjusted the settings to your liking, click on the Create Alert button and you’ll be taken back to your Google Alert homepage. You’ll automatically receive email notifications any time Google finds results relevant to your niche. Make sure to check your email to see if a new mention about you is posted online. 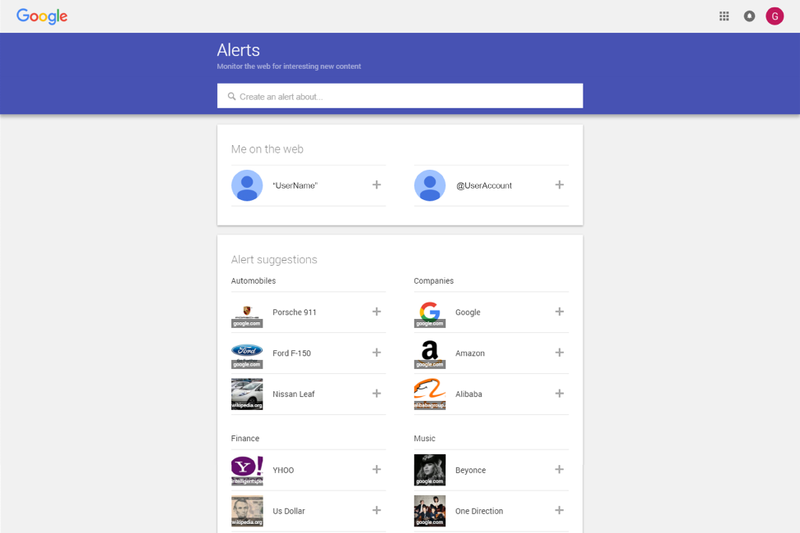 Establish as many alerts as you can to keep tabs on your interests, industry news, competitors, and more. Today’s organizations and entrepreneurs are finding great value in social media’s marketing purposes. Since channels like Facebook, Twitter, and Google+ have become dominant business tools, they’re considered important players in brand reputation management. Hootsuite manages all these social networks under one dashboard for a time-savvy approach in online marketing. It’s ideal for publishing and scheduling messages, tracking brand mentions, and analyzing social media traffic. Remove the stress of logging in to different accounts individually. Manage all your posts in one place so you don’t miss anything. Begin by logging into your Hootsuite account. If you don’t have an existing account, visit Hootsuite and sign in using either Twitter, Facebook, or Google+. Click on Add Social Network to start connecting social profiles to your dashboard. Once you have your social networks added, click on Add Stream. The stream options vary for each profile, depending on the social network it’s on. 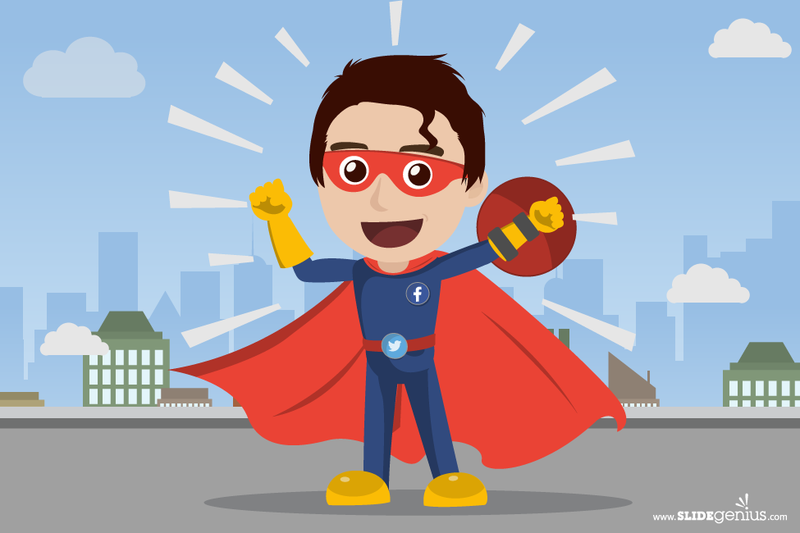 For example, Facebook options include Timeline, events, and pages, while Twitter has Timeline, mentions, and direct messages. In addition to a stream search, Hootsuite has also made posting updates hassle-free, since you can publish a single post to multiple networks. 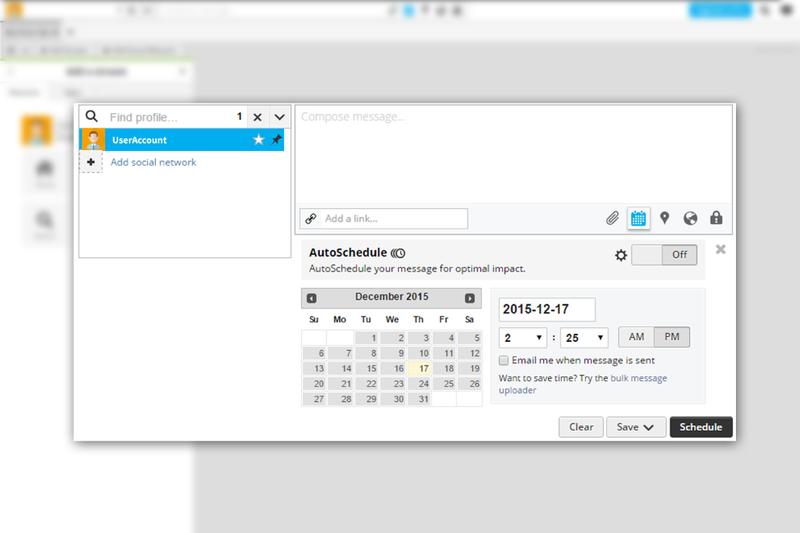 Another helpful feature for managing posts is the scheduling button. It’s right below the text field in the Compose box. This allows you to plan ahead and keep your account actively engaged with just a few clicks. Twitter is among the many social networks used for information sharing and personal network expansion. With over 500 million Tweets daily, it’s good to know if there are any tweets about you and your business making the rounds – especially if they could potentially be damaging your company’s reputation. Find out what people on Twitter think about you to develop a stronger relationship with them. To make things easier, use TweetDeck to search for and filter through content, schedule tweets, build Tweet collections, and more. 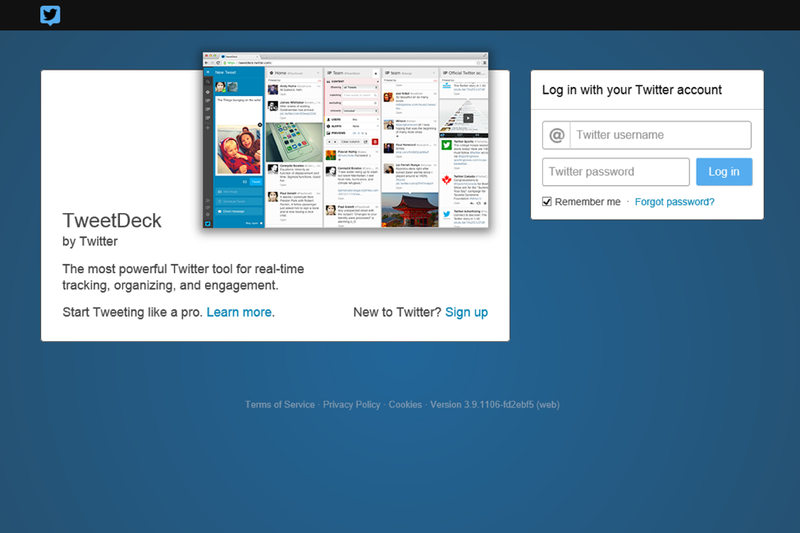 Go to TweetDeck’s homepage and sign in with your Twitter account. Then, enter the keyword you want to search. For example, if you’re in the food processing industry, selling food equipment for industrial and commercial use, you can use your brand name or product as keywords to see related tweets. Once you’ve entered the keyword, it will show you information and trends about your search phrase. Then, click on Add Column to keep a column specifically for information about that keyword. But if you want to look for something in particular, try filtering the list. Filters can be accessed by clicking on the Edit button at the top right of the column. There are four main filtering options to choose from: showing, matching, excluding, and retweets. The Showing filter is for categorizing all Tweets in any media (images or videos). Matching only shows Tweets with specific words in the Tweet content. Excluding can be used for omitting Tweets that contain a specific word, while Retweets is for filtering retweets that you don’t want to see in your search. 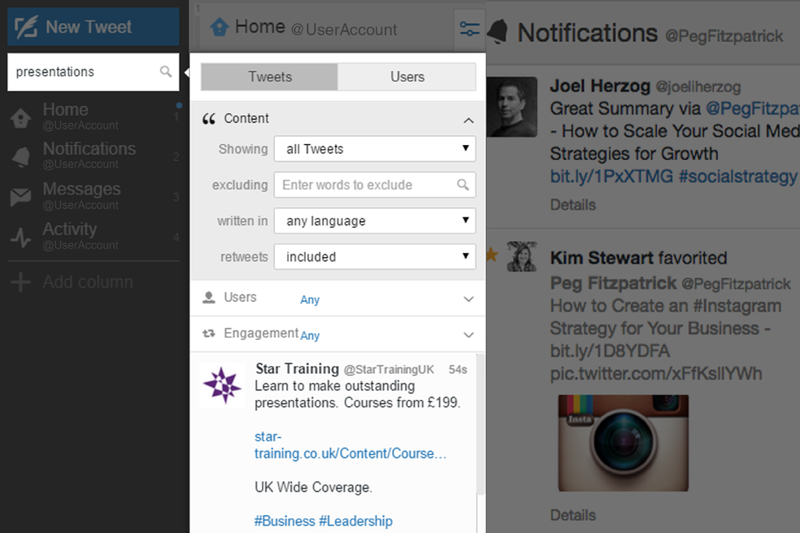 Besides social search and monitoring, TweetDeck also lets you schedule Tweets in advance. Click on New Tweet at the top left of the interface. Compose your Tweet, then tick Schedule Tweet, where you can select the date and time you’d like to post it. With the increasing number of Internet users worldwide, there’s no denying that the web can have a huge impact on many businesses’ reputations. It’s become easier for critics to post negative content because of social media and other online platforms. This calls for an effective strategy that ensures your brand’s image is protected, for which online reputation management (ORM) tools are the perfect solution. Google Alerts, Hootsuite, and TweetDeck are only a few of the many web services that can help you monitor your brand through your channels, so you can focus more on growing your business. 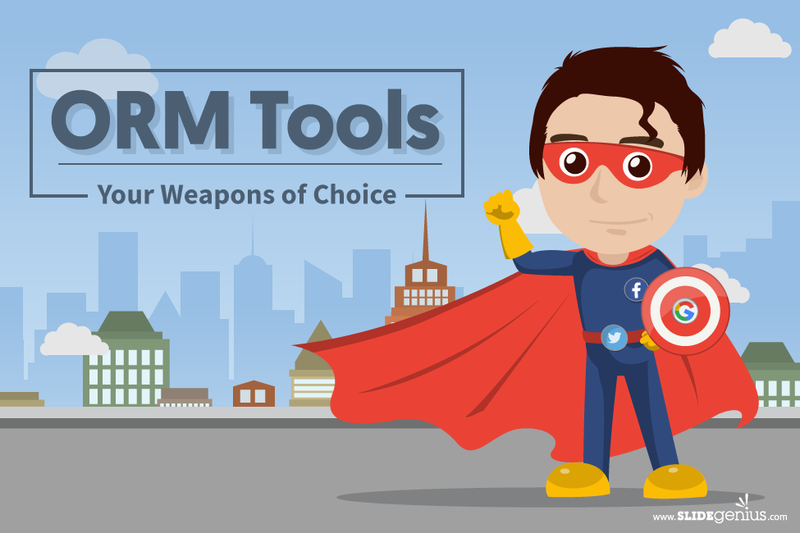 Your online reputation is crucial to your success, so make use of these ORM tools to get more customers, secure and repeated business transactions, and loyal customers. Barron, Brenda. “How to Manage and Monitor Your Online Reputation.” Elegant Themes. December 11, 2014. Accessed November 25, 2015. Finn, Greg. “Filter Content, Keywords & Media with New Column Filters from Tweetdeck.” Marketing Land. February 19, 2013. Accessed December 17, 2015. Joyce, Susan. “Monitor Your Online Reputation with Google Alerts.” Job-Hunt. n.d. Accessed November 24, 2015. Kemp, Simon. “Digital, Social & Mobile Worldwide in 2015.” We Are Social. January 21, 2015. Accessed December 17, 2015. Paulson, Kabin. “10 Fantastic Online Reputation Management Tools.” The iMarketing Café. February 12, 2013. Accessed December 1, 2015. Riley, Rich. “The Role of Internet in Business.” Ezine Articles. June 13, 2011. Accessed November 24, 2015. Stringfellow, Angela. “6 Tools That Make Tracking Your Online Reputation Easy.” American Express. October 10, 2013. Accessed November 24, 2015. 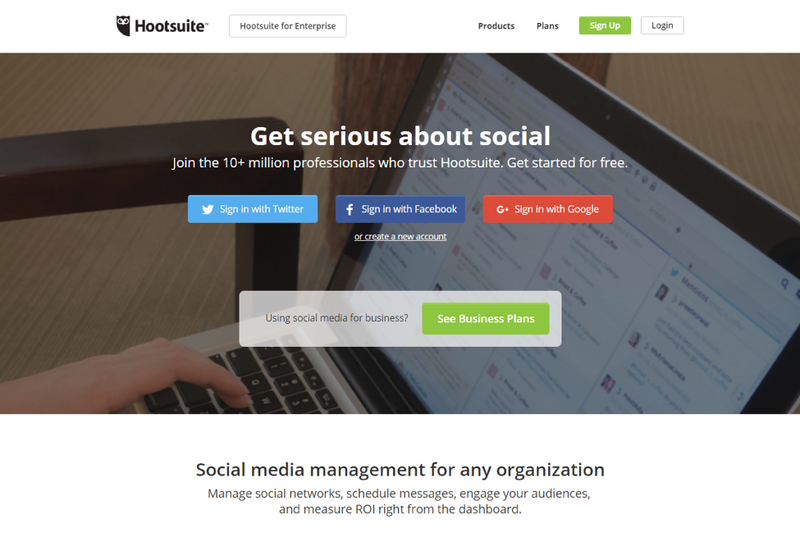 “Quick Start Guide.” Hootsuite. n.d. Accessed November 24, 2015. Rick Enrico is the CEO and Founder of SlideGenius, Inc., a global presentation design agency. He regularly publishes expert presentation tips on the SlideGenius blog. He currently oversees an experienced team of designers, software developers, and marketing professionals that specialize in creating custom corporate presentations and cloud publishing applications.